For further information on pricing, please contact our team on 1300 434 863 or contact us via the web form at the bottom of this page. Qualifications are not issued until full payment has been received for the course. PaySmart Charges apply for all payment plans – $1.95 per payment PaySmart Admin Fee and once off $5.50 setup fee. 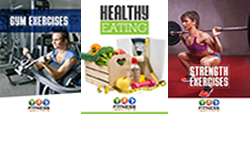 We will allow a refund or cease payments only in the instance that we (as Fitness Institute Pty Ltd) cannot or have not provided a service as stated in our terms and conditions. Refunds are not issued if students choose not to complete coursework, do not attend class or find themselves too busy to complete the course. Students must make every attempt to come to class to learn and participate in the practicals and make use of the Learning Management System as backup and support to learning. Contracts cannot be canceled and students who become financially unable to continue payments can apply to have payments adjusted and service charges may apply. In severe medical cases, a request can be made to hold or reduce payments or a reasonable extension duration can be negotiated. The cooling off period after the contract has been agreed to (signed electronically or by hand) is 10 business days. Students taking longer than the agreed amount of time are required to pay an additional $100 per program stage (module) extension fee to cover costs associated with re-enrolment, marking and administration. Extensions can be purchased from the extensions page. Certificates will not be issued until full payment has been made to the Fitness Institute, all assessments are marked competent and all work placement hours are completed. In the case of the “Combo” course (Certificate III and IV in Fitness), a student may request their Certificate III on completion of all module assessments, work placement hours and payment of at least half the total amount of the contract. More information can be found at ACCC with regards to contracts. If you have any questions about the enrolment process, we are here to help you on (07) 4724 3123 or please see our contact page. Note: You must be an Australian Citizen or Resident to enroll in Fitness Institute courses. If you are a non-resident, you will need to search for a CRICOS provider offering the Cert III and IV in Fitness. 1. Select your payment plan. Note: all payment plans, including specials, are available from relevant course pages. 2. Create or confirm your USI and inform us of your USI in step 4. 3. Register for Free Student Insurance with Fitness Australia and notify us of this number in step 4 (for PT/Fitness Courses only). 4. Register for our Learning Management System (no need to enroll in any courses – we can help with this later). After your payment plan contract is completed, we will review the enrolment and activate the first portion of your course as soon as possible. Completing your First Aid Course HLTAID001, HLTAID002, HLTAID003. Another option is to fill out the paper-based Enrolment form – Enrolment Form Word. Enrolment Form PDF. Thanks for choosing the Fitness Institute and Making the Change in your life and inspiring others to do the same.